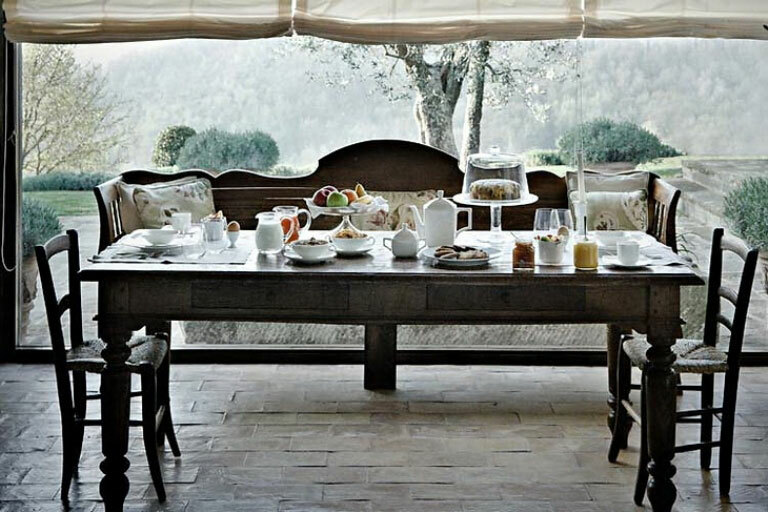 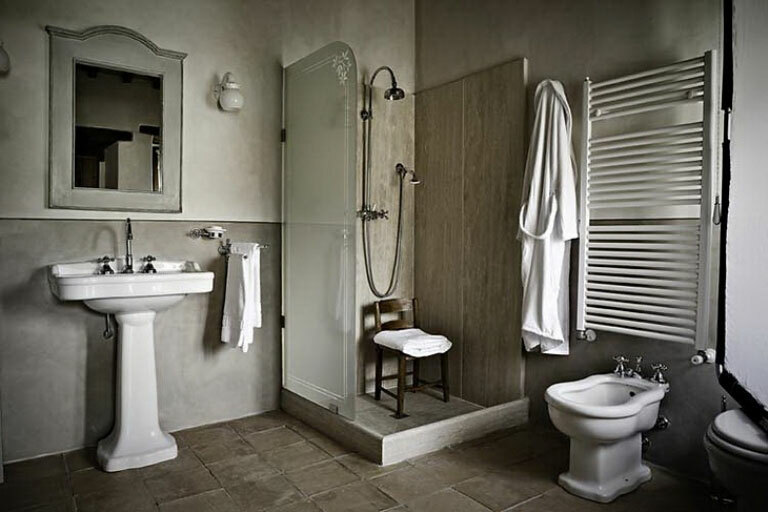 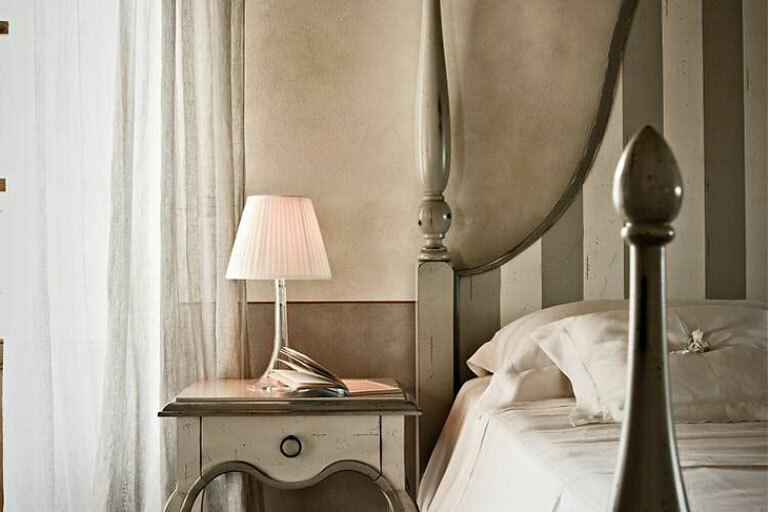 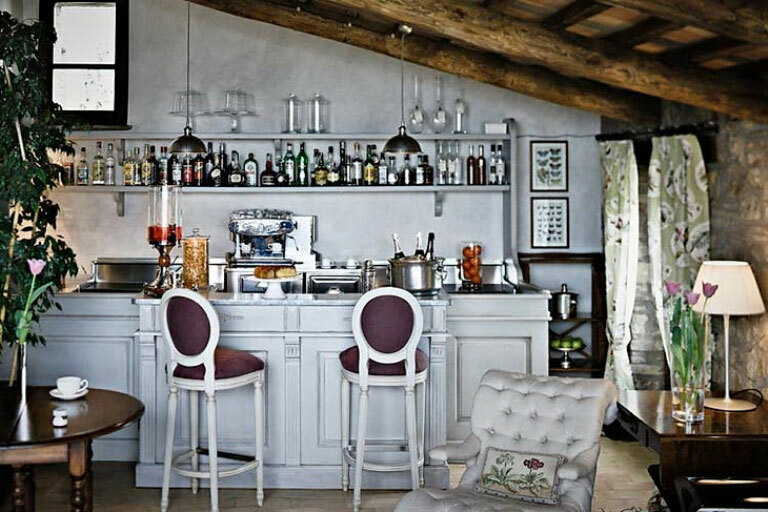 This is villa Casali di Monticchio, with classic Italian interior looks. 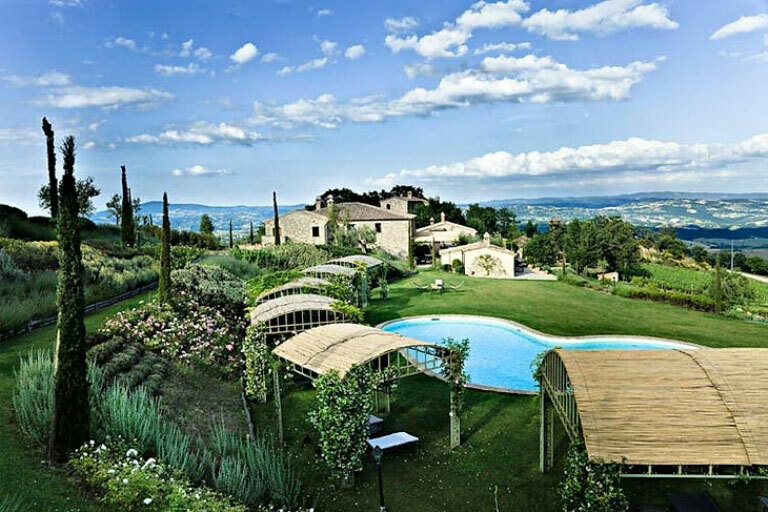 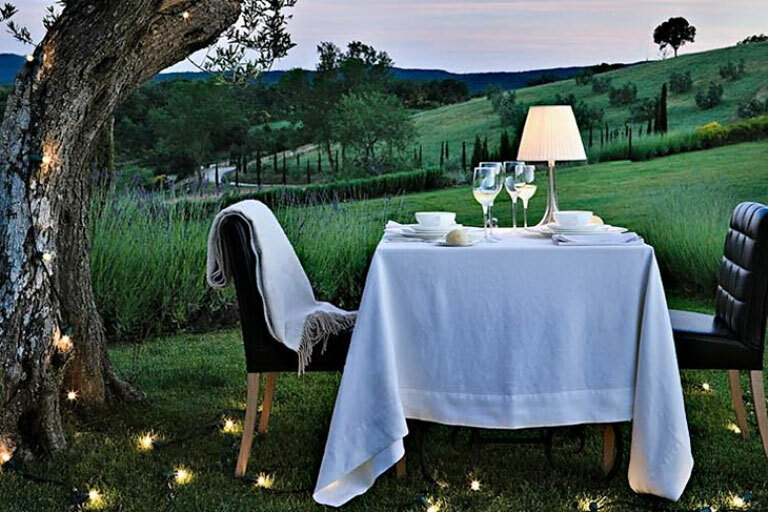 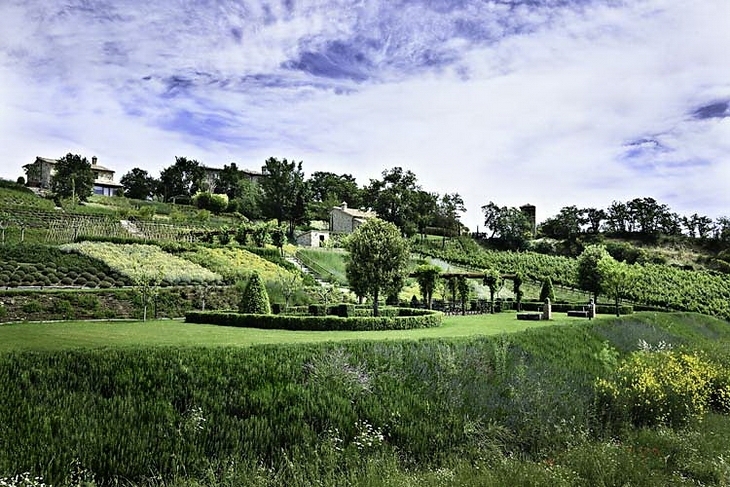 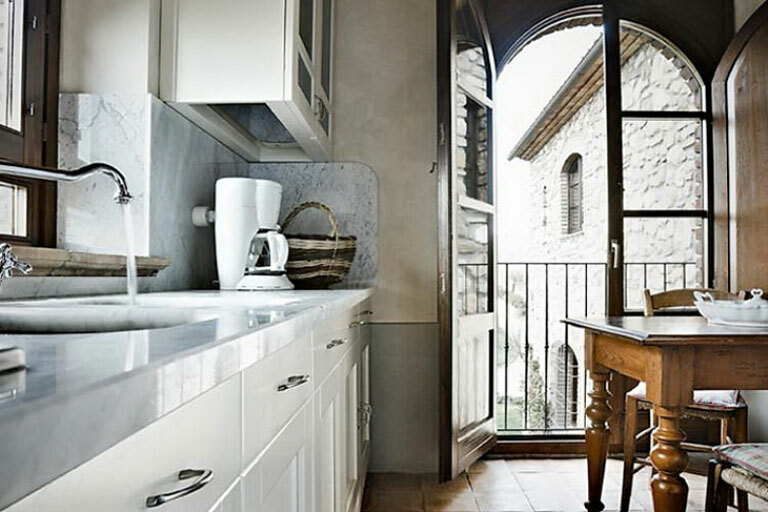 It’s located in the gentle hills bordering on Umbria and Tuscany, Italy. 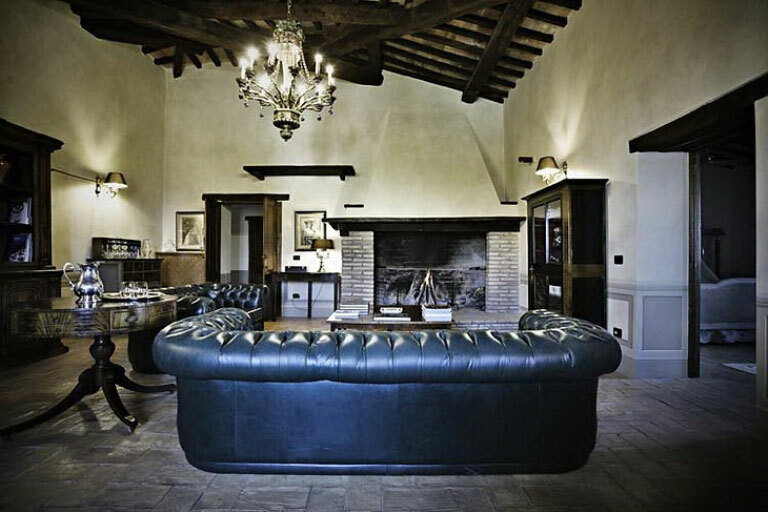 The villa is surrounded by three farmhouses and consists of winter garden, pool, library also billiard room. 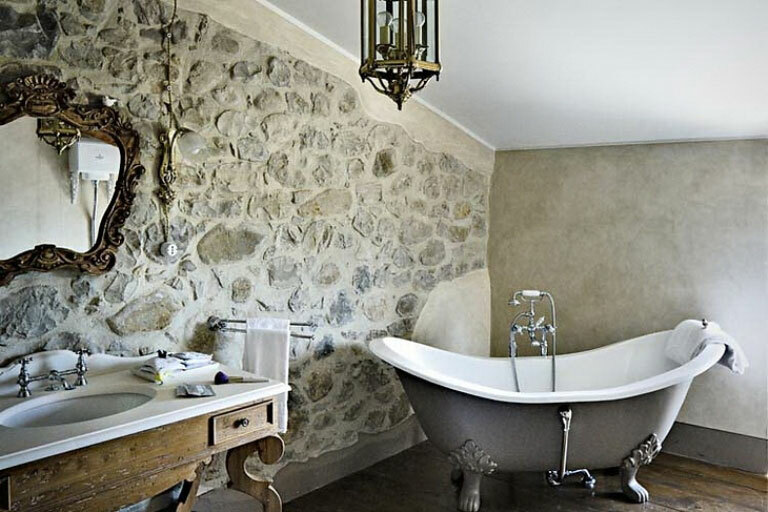 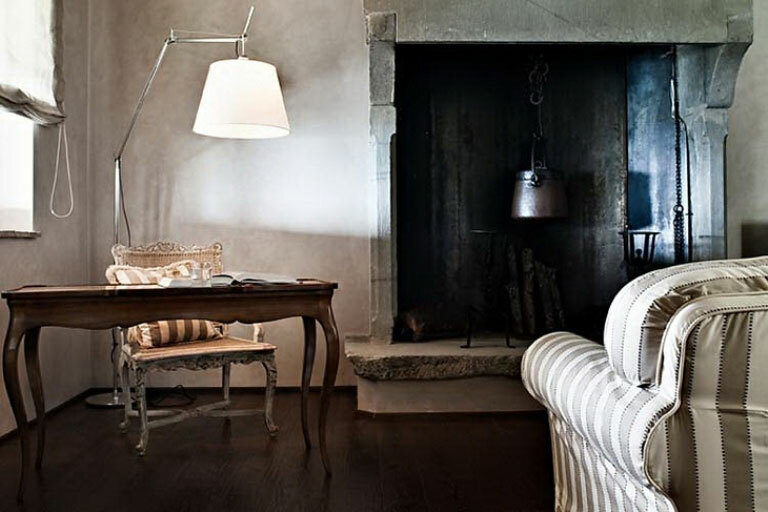 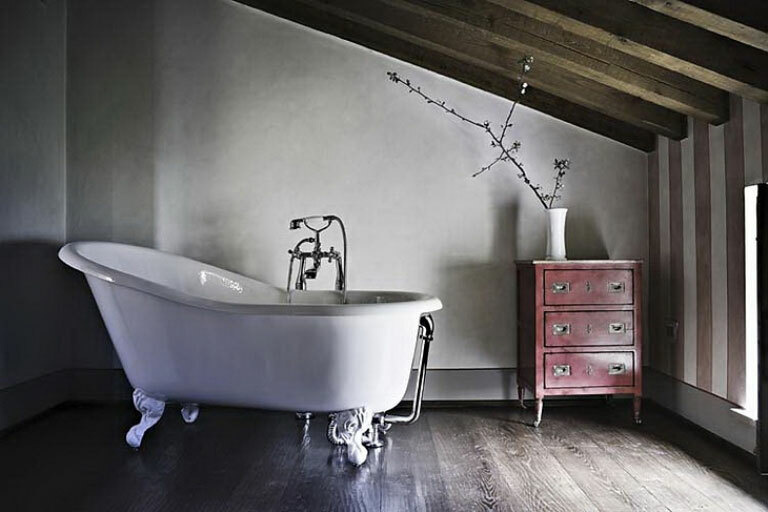 Interiors are equipped with rough wooden beams, stone, and traditional fireplaces creating an antique atmosphere.